There seems to be so much happening every month on UsingMindMaps.com. This month is no exception. We are in the process of changing and consolidating our Internet presence. This newsletter advises you of our current websites and our communication strategy going forward. By taking the time to read this, you will discover how our various communication strategies can aid you in Using Mind Maps more effectively in your daily life. 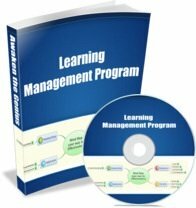 Last month, we launched an interactive Mind Map version of our popular Learning Management Program, which was previously only sold as an Ebook. The Interactive MindMapTutor requires Xmind, which is free OpenSource Mind Map Software. The Mind Map is a 'live' Mind Map that you can alter as you see fit. You can add your own ideas and thoughts to the Mind Map, thus personalising it and putting you at the centre of the learning process. You also get the Ebook bundled into the price. UsingMindMaps can now be found on Facebook. The UsingMindMaps Facebook page is designed to grow a community of ordinary people doing extraordinary things with Mind Maps. By becoming a fan of our Facebook page, you will be able to connect with fellow Mind Mappers, both new and experienced. By communicating how you use Mind Maps in your daily life, and seeing how others are using Mind Maps in theirs, the learning process becomes interesting and fun. You will be surprised how much you will gain by linking up with others. You will also find that many have the same problems you have. You will also find many that have already solved the problem you may have. So, don't delay. Join the UsingMindMaps Facebook page now. By being part of an active learning community, we can all learn from each other. I learn as much from the people that I tutor as they do from me. The articles that I write also teach me more than most people realise. While I have a good concept of what I want to write, researching it, drafting it and editing it ensures that I learn a whole bunch of new things with every article that I publish. The dedicated UsingMindMaps Facebook page is going to work wonders for all of us. Watch that space! Besides the UsingMindMaps website, we also maintain MindMapTutor.com, where we offered a free weekly article on Mind Maps and Mind Mapping. This will no longer be the case. MindMapTutor.com will become a traditional blog, where I will be sharing my current thoughts and discuss current happenings related to Mind Maps and learning. Previous articles were researched, drafted and redrafted before being published. Being a blog, it started to become difficult to access older articles, or related articles. A more traditional website was needed. This is how UsingMindMaps.com was born. The posts will be shorter and relate more to current affairs. You will be able to follow the blog like any other blog, using RSS Feed. You could still get the posts into your email inbox if you prefer. Go to the site and sign up now, if you want this option. Remember that posts may be more frequent, but also more erratic, as they will come in as they are posted. This is the main content website. Here, articles will be arranged according to subject area. By arranging articles to subject area, you will be able to access relevant content easily, making the time spent on the site more productive. The Website is relatively new, but already needs some reorganisation. Don't worry, your bookmarks will still work. I will just be changing the navigation structure, not the article structure. 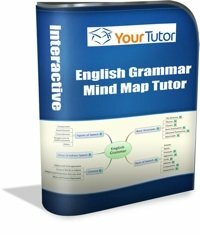 Most older articles on MindMapTutor.com will be migrated to UsingMindMaps.com. All of them won't make the cut though. Only articles that meet our strict website content criteria will make the cut. This is to ensure that UsingMindMaps.com gives you good quality content at all times. This Newsletter and the odd Newsflash will be the main 'push' communication strategy from us. The Newsletter will be emailed to you once a month. There will not be more than one Newsflash per week. This is to ensure that you don't feel spammed by us. We will not send you tons of marketing material just to sell to you. Everything we send should add value to your life. We have to do this, as we know that you can unsubscribe at any time. Besides giving you an update of the previous month's happenings, our Newsletter will also give you a peek of what is to come as well as any special promotions that we may be running. The rest of our communication is designed to be two way communication. You can comment on the Blog, participate on the Facebook page and also submit your own articles for publication on our website. In this way, you will be part of the UsingMindMaps community and therefore be assured of maximising your brain and your talents. This will not only enrich your life, but also give you a competitive edge. Thank you for taking the time to read this Newsletter. This issue is a go-between what has been and what will be. The Newsletter structure will start becoming more organised and consistant over the next few months.